From Conestoga College to the Cambridge Centre Mall to up in the air again, take a look at a timeline of city of Cambridge's multiplex project...so far. As the city of Cambridge scrapped plans to build the city's sports multiplex at the Cambridge Centre Mall earlier this month, CBC K-W has put together a timeline of how the multiplex project developed over several years. The City of Cambridge passes a motion to cancel plans to build the multiplex at the Cambridge Centre Mall. Staff deem the project too expensive and are directed to find new affordable locations to present on March 5. CBC K-W reaches out to the City of Cambridge for an update on the multiplex project. No update from council. Cambridge city councilors vote in favour of the Cambridge Centre Mall as the home of the multiplex's non-aquatic portion. It became the favoured spot after Sears Canada announced it would be closing its location at the mall. The new site was to include three rinks including the existing ice rink, three gymnasiums, and a walking and running track with room for the sports hall-of-fame. Council votes to split the multiplex into two facilities. At the time, the Cambridge Centre Mall emerged as a possible location after the Chamber of Commerce mentioned more than a year ago the future of Sears was uncertain. Mayor Doug Craig said splitting the sports facilities will help the city save money because they may be able to utilize part of the former Sears store at the Cambridge Centre and they wouldn't need to build additional parking at the mall. A new option put on the table for the Cambridge sports multiplex would see the facility split between two locations: the gym and swimming pool at one site and the ice rinks at a second site. The multiple site option was discussed at a meeting in March, where councilors also consider the work involved in analysing the five proposed locations for the sports facility. In September 2016 a resident had complained to ADR Chambers, a Toronto legal and mediation office that serves as Cambridge's integrity commissioner, about mayor Doug Craig's involvement on the multiplex task force. The resident argued Craig violated the city's procedural bylaw in regards to board and committee meetings. But city's integrity commissioner rules Craig did not break any rules when he sat on the multiplex task force. Residents and stakeholders meet with the multiplex task force to provide input on top five locations. The city's multiplex task force reveals the top five locations for the multiplex. At the time, two locations were tied for the number one spot, which were 220 Pinebush Road and 261 Hespeler Road, the former industrial property which housed the Grand River Flea Market. The third spot was 112 Pinebush Road, followed by Franklin Boulevard and Savage Drive. The fifth spot was 850 Fountain Street South. The City of Cambridge decides to look at alternative locations for the multiplex due to residents not being happy with the initial location at Conestoga College, saying the location better serves residents of south Kitchener than Cambridge. Council says it won't make a decision about where a proposed multiplex will go until the end of September. Cambridge Coun. Nicholas Ermeta tells CBC K-W he wants the city's new sports facility to be built anywhere other than at Conestoga College, despite the fact that council had already voted in favour of the campus location. He said the campus is an "unacceptable" location for the city's new sports facility. 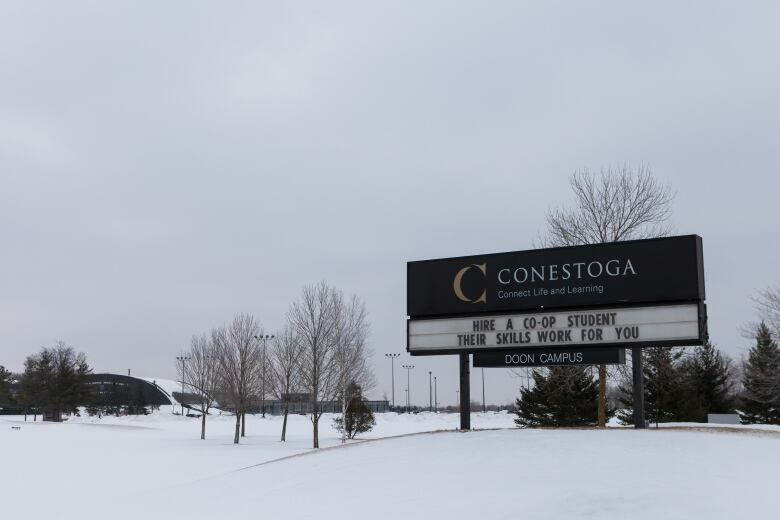 The proposed partnership between the city and Conestoga College gets opposition from the public. Council directs staff to develop a partnership agreement with Conestoga College to build the multiplex. Cambridge staff complete a recreational master plan that recommends the construction of a new multi-use sports facility. Waterloo Region Votes: Time for change in Cambridge?